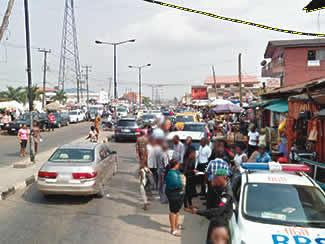 There was confusion in the Ojota area of Lagos after a middle-aged man, identified only as Muyibi, collapsed and died in a commercial cab. It was learnt that the victim boarded the cab after withdrawing money from a United Bank for Africa branch in the Ogudu area. After reaching the terminus, a resident told The Punch that the driver alighted from the cab to nudge Muyibi, who appeared to be fast asleep. It was learnt that the vehicle was impounded, while the body was deposited in a morgue. The Punch could not speak with the chairman of the cab drivers in the area, identified as Mukaila Bankole, as of press time.